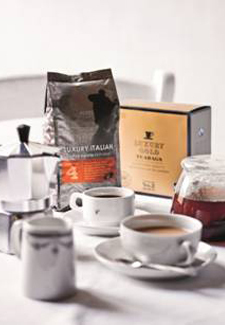 For the next month, Marks & Spencer are offering money off fair-trade products. The dark, chocolatey taste of Espresso Ground coffee is down from £2.99 to £2.24 – the same price as the deluxe Italian Coffee Beans, which are perfect option for an after-dinner treat. If bursts of citrus are your favourite, M&S Kenyan Ground Coffee is a real cup of summer, down from £3.79 to £2.84. No cup of tea or coffee is complete without a snack, so look out for their cookies and flapjacks on a 3 for 2 offer, too. Flavours include Sultana, Chocolate Chunk and Fruity Flapjacks. For a more desserty taste, opt for Lemon Meringue, Rhubarb Crumble and Black Forest.